When you separate, determining the appropriate arrangements for your children can be difficult. However, any arrangements that are made must be in the best interests of your children. It can often become a conflict between two parents, who both believe they are acting with the children’s best interests at heart. Formalising the agreement, you reach with your spouse is imperative for the financial future of both parties. Before you enter into any formal financial agreement, you should receive legal advice in respect to the proposed agreement. Whilst this is a topic that we often do not prioritise in our day to day lives, having a valid will is imperative to ensuring that the people we care about, are sufficiently looked after, to help secure their future. Affinitas Legal is a new and dynamic Perth based Family Law, and Estate Planning Law firm. 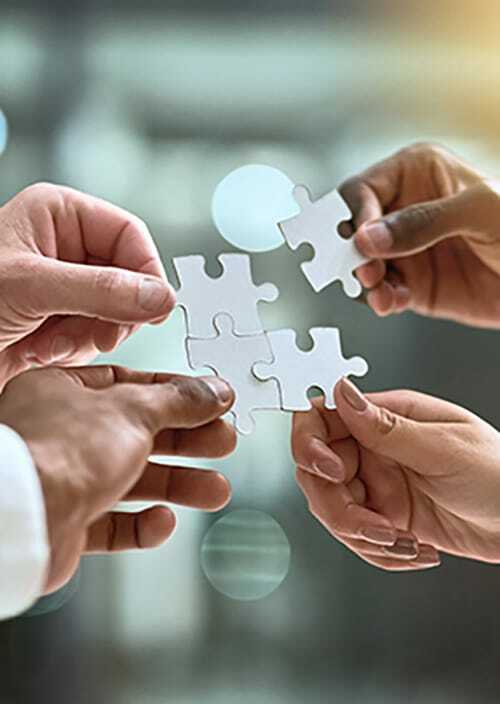 We aim to assist our client’s in navigating through various legal and non-legal matters with our client’s goals and objectives always at the forefront of our practice. Our team have worked on many complex financial and children’s cases in the Family Court and Supreme Court of Western Australia and are committed to achieving the best outcomes for our clients. We are friendly and take time to understand your delicate circumstances. We put you first and work hard to achieve a favourable resolution. We provide honest and realistic one-on-one advice about your options. We harness creativity and technology to deliver the best possible outcome. We think out of the box with a range of options and strategies for you to consider. Thanks to Kyran and Aimee for assisting through various court matters. Kyran is very professional, sincere and reliable person. He is very thorough and don’t miss anything which is very important to the case. Both Aimee and Kyran are proactive and kept me informed throughout the court process. Due to Kyran knowing my situation and my case properly, I was able to successfully obtain a Recovery Order from family court. I highly recommend Affinitas Legal for there professionalism, affordability and friendly approach. What an amazing team!! The level of service provided by Kyran and the team was exceptional. Great knowledge base to tap into and always ready to help. Very affordable pricing. I highly recommend Affinitas Legal. Aimee did an excellent job with the legal services that we required. She was professional, fast, pleasant, articulate and compassionate to our needs. We highly recommend Affinitas Legal and would not hesitate to use them again. Their prices were fair and the other staff we met were very polite. Thanks very much for a job well done! We had kyran as our family lawyer and we are very impressed. with the matter getting resolved we We’re very impressed from the moment you stepped inside the office, you felt welcome and as you do dealing with these matters you get anxious and nervous and kyran made us feel very comfortable and we had all the confidence in him as a lawyer his expertise in the field was second to none. Dealing with the support of not only kyran but co director amie gave us the relief and calmness to deal with things in a appropriate manner. We couldn’t thank you enough to the both of you and will recommend you to anyone I come across that would need your assistance. Firstly there would not be enough words to Express how highly we recommend Affinitas Legal. We have personally been dealing with the Family Court for years and dealt with a number of lawyers along the way. The general public perception of lawyers is stereotyped in a negative way and this was also our perception before meeting with Kyran and Aimee, they do not fit this mold at all. 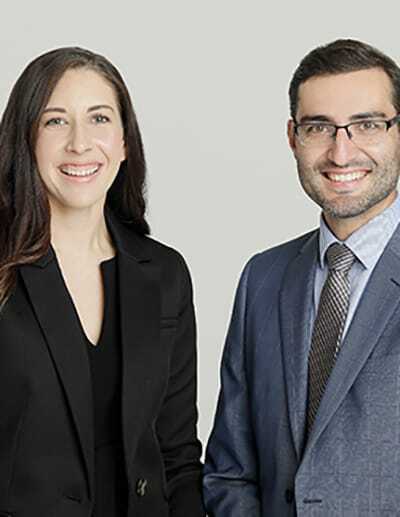 They both have extremely high integrity a genuine compassion for their clients along with a wealth of knowledge in the legal profession, an extremely rare combination in our experience with previous lawyers. Affinitas Legal have just recently helped us to achieve in the Family Court something that has never been done before. They have set new case law and helped to pave the way for other people facing similar injustices. Kyran and Aimee have well exceeded our expectations and we will miss their support when the matter is finalized as they have personally helped myself and my wife to cope with some challenging times. I would highly recommend Affinitas Legal to anyone in the future. I would like to thank Affinitas Legal for assisting us n importing our Harley Davidson Motorcycles from South Africa. We were fighting a losing battle, but with Affinitas Legal’s in-depth research and professionalism we were able to overturn the outcome of the Tribunal’s decision. Thank you for handling and submitting all the documentation, and for the time spent on this case. My husband and I recently had our wills and estates done by the team at Affinitas Legal. Aimee was so professional, kind, warm and attentive. I would highly recommend Aimee and Kyran for any family/ estate matters in in future. Kyran and Aimee provide a really personalised style of service and care that you dont often find in this field. It is clear that they are truly interested in the details of the cases and they really do give you a feeling that you are being totally supported through even the most terrifying of circumstances. After experiencing some of the careless lawyers in the family court system I found Affinitas to be a refreshing change of pace. Their professional yet personal style has led me to refer more than a few people onto Affinitas, all of whom could not be happier with the service they received. Thanks Kyran and Aimee! I couldn’t be happier with the professional and compassionate service provided by Aimee and Kyran. They displayed a high level of sincerity and were very understanding and empathetic to my particular circumstances. Aimee and Kyran are genuine people of high integrity and I would not hesitate in referring anyone in need of family law services. I can’t thank you enough Aimee and Kyran! I have recently used Affinitas Legal for all my consent orders relating to property and the care of my child which has also included my divorce. After 5 and a half years of dealing with other lawyers who’s main concern seemed to be money money and more money I was so happy to finally meet with Kyran and Aimee who made the whole process an absolute breeze. I cannot recommend Affinitas Legal enough and appreciate all they have done for me by making a very very difficult time in my life a lot easier. I contacted Kyran at Affinitas Legal for some advise on a property matter. Kyran was professional, extremely knowledgeable & was very approachable in the areas I wasn’t experienced in. After considering my options and feeling at ease after a great meeting, I chose for Kyran to take on the legalities of my property matter. From day one I have felt very confident and comfortable with my choice in choosing this wonderful firm. They really deserve all the success. Thank you team, I look forward to working together in the future.